a little bit out of date as of April 2013, but getting there..
A series of in-depth interviews with Japan-based non-Japanese executives of companies with primarily Japanese workforces. 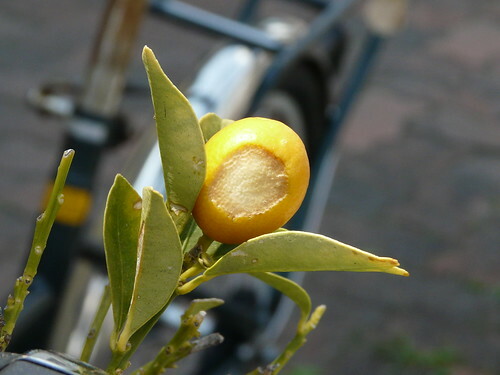 A public project looking at non-commercial fruit in Tokyo private gardens and public spaces. We hope to learn about what is being grown, where, and how it is being enjoyed and shared - the simple, everyday tastes, stories and memories of fruit in Tokyo. Keep your city beautiful? How about keeping it delicious for a change! Short examples from 'Keep your city delicious' (街をおいしく！）activities in Tokyo. 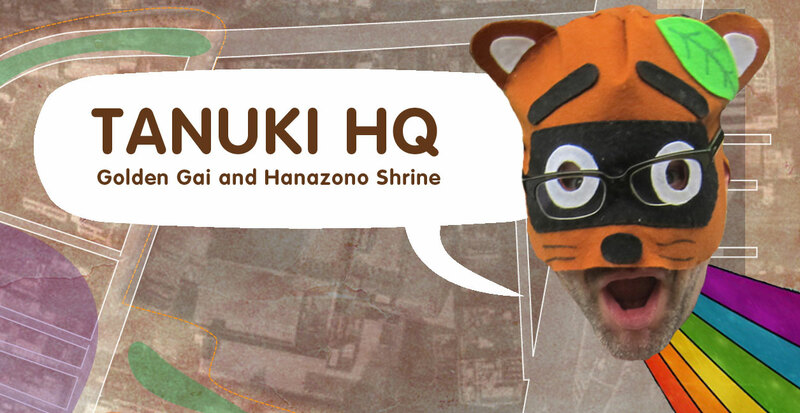 The Studio for Creative Revitalization Of Tanuki Urban Manifestations works with the Tanuki - a member of the canine family that resembles a raccoon (commonly known as raccoon dog in English). In addition to being a real animal that resides in the nooks and crannies of Tokyo alleyways and shrines it is also a pleasure-seeking and massively testicled mythical figure central to Japanese folklore and popular culture. 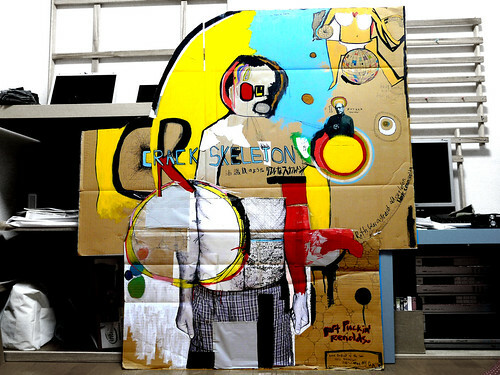 A collaboration with Jared Braiterman and Jess Mantell. Starting to post rough collage notes/writing on the hand made city and Tokyo. Frequently updated. 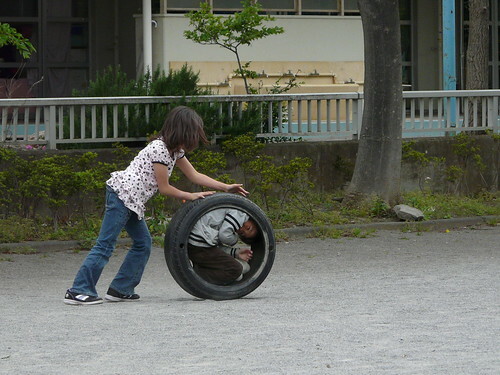 Notes from a collaborative + open research project investigating, enjoying, and learning from the self-initiated and non-commercial play of children in Tokyo. "......These safe and slow pathways are perfect for tiny feet and their larger commute-weary companions. Dense greens and colourful scented collages reside at the height and scale of little eyes and noses. Irrepressible hands thrive on the mixture of gravel, sand, grass, rocks, sticks and fallen fruit that compose Tokyo carpets. In summer developing ears drink in crickets, cicadas and neighbourhood rustlings...."
A small study on the child's perception of the street. 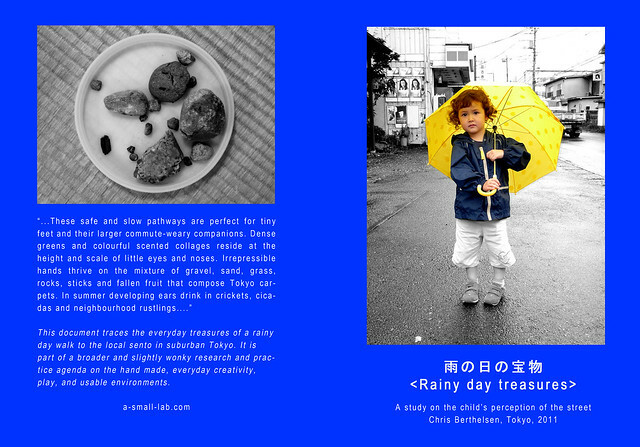 This document traces the everyday treasures of a rainy day walk to the local sento in suburban Tokyo. It is part of a broader and slightly wonky research and practice agenda on the hand made, everyday creativity, play, and usable environments. 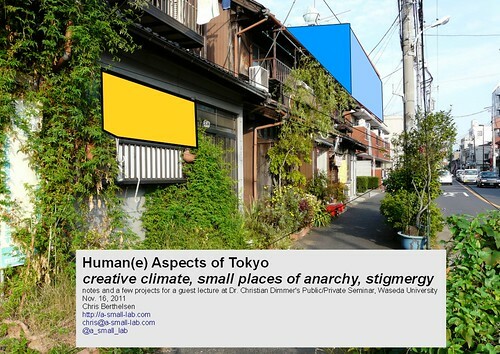 A scrambled, semi-off-the-cuff presentation for the Institute for Information Design Japan workshop “Transforming Neighbourhoods - Tokyo/Berlin" organised by Jan Lindenberg. An open sourcebook and resource for urban gardening on a personal level -- “hands-on gardening for a crowded city”. It includes ‘how-to’ examples/instructions, photo essays, observations, interviews, articles and more with the aim of knowledge sharing and creation around low-cost, agile gardening in dense cities (with a focus on Tokyo). 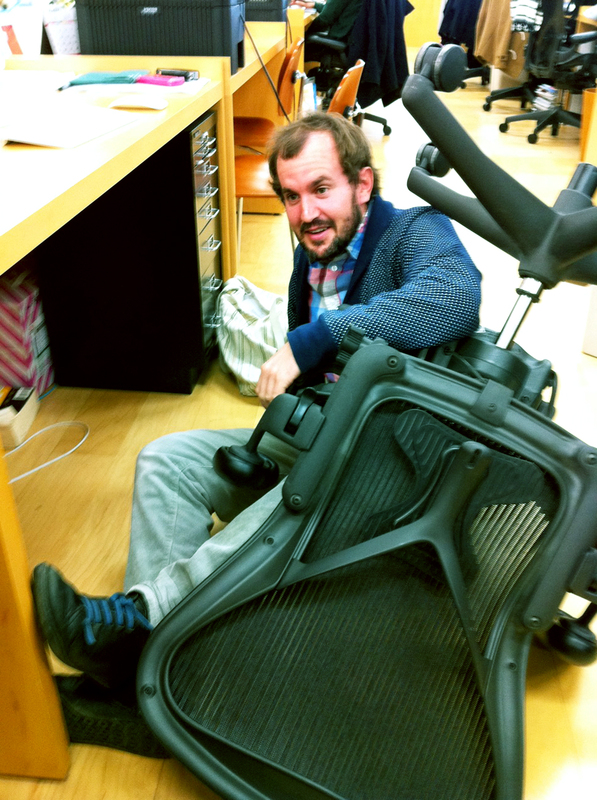 A collaboration with Harvard and Stanford anthropologist, Japan Council on Foreign Relations Hitachi Fellow, and Tokyo Green Space founder Jared Braiterman. 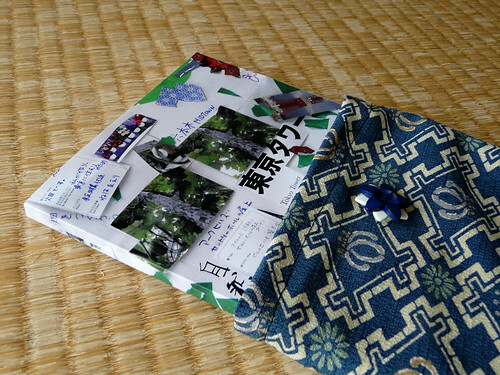 Lots of preview images of the Hand Made Tokyo document of the 3331 Arts CYD Tokyo mapping workshop we did last summer. Turning an unusable and unfriendly suburban jungle/rubbish dump into a usable space for children, plants and parents. The kokonohanashi (「ここの話」 lit. 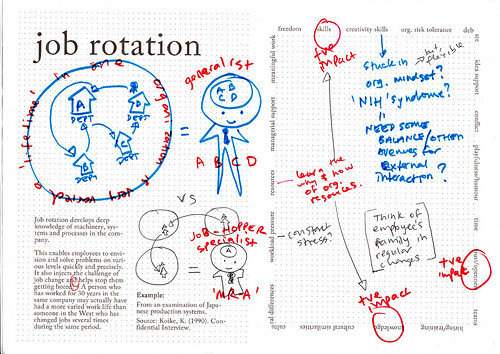 'talking about here') project works locally with a combination of analogue (notebooks, pens, laminated A4 posters, wire, legwork) and open low-tech digital tools (QR codes, stripped down Wordpress, email, smart-and-not-so-smart-phones) to investigate the development of a platform for discussion about, and positive action in, city space by the people who most matter - those who experience and use the place in their everyday lives. 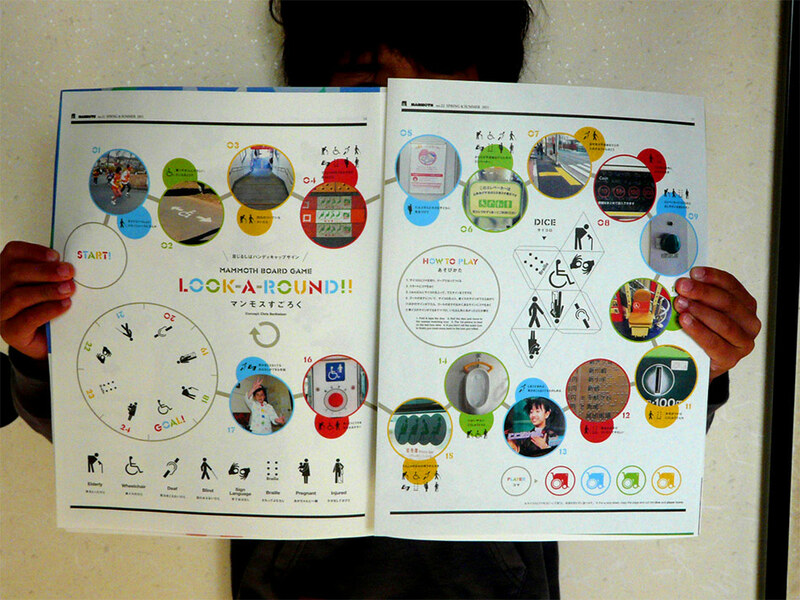 Produced in collaboration with Mammoth School and Knee High Media for the second issue of the Mammoth School free paper, "Look-A-Round" is a board game which encourages learning about city accessibility. 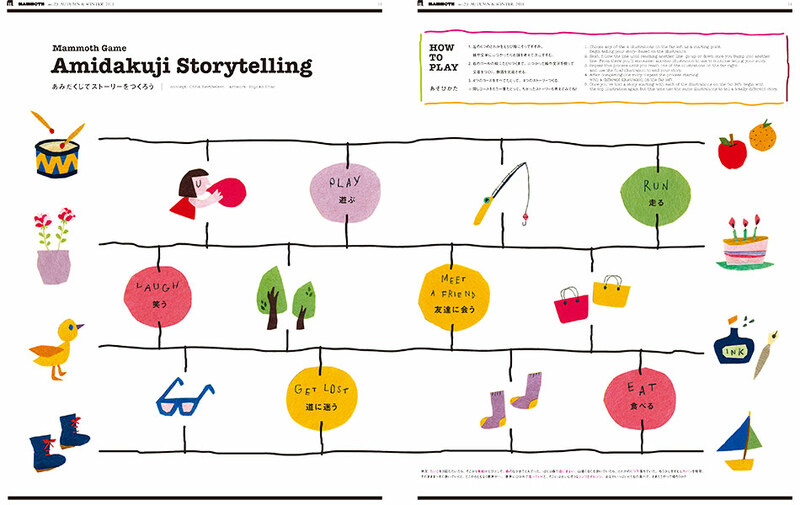 Produced in collaboration with Mammoth School and Knee High Media for the third issue of the Mammoth School free paper, "Amidakuji" builds on a traditional Japanese game for fun and weird storytelling. Illustrated by the fantastic Hiyoko Imai. 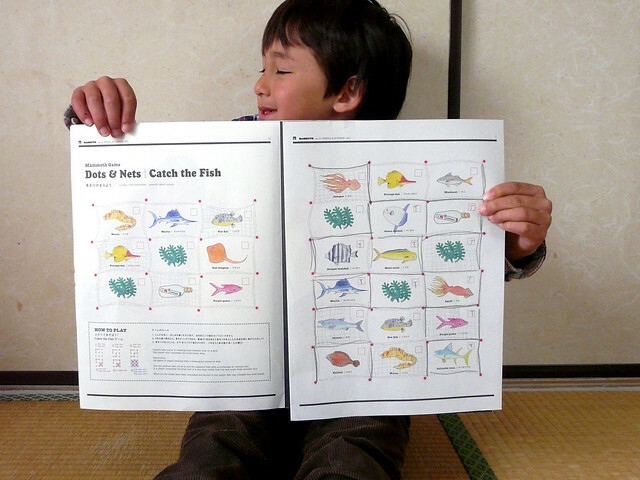 Produced in collaboration with Mammoth School and Knee High Media for the fourth issue of the Mammoth School free paper, "Dots and Nets" builds on the traditional dots and squares game to introduce creatures of the sea. Illustrated by Mika Inohara. 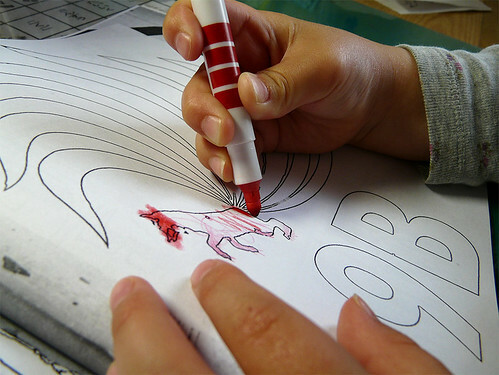 A colouring-in book of Tokyo street art created to introduce little hands and minds to the fine-grained hand made aspect of human(e) creativity on the street. This ongoing study reviews the Japanese business and management literature to uncover the principles, strategies and circumstances at the heart of the creative successes of Japanese companies. 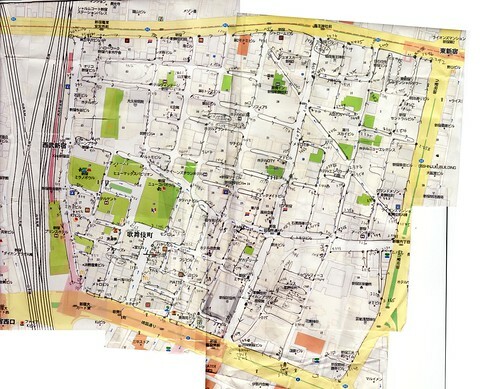 A 5,500 image survey of street art in selected areas of Tokyo (Shibuya, Shinjuku (Kabukicho, Hyakunincho), Kunitachi) collected as part of an investigation into the relationship of creative uses of public space and spatial configuration. This image resource is available for purchase for commercial (no use restrictions) and non-commerical use - Click here for more details. A photo resource and book was made for a major Japanese clothing design/retail company (800+ photos, book, context/translation). 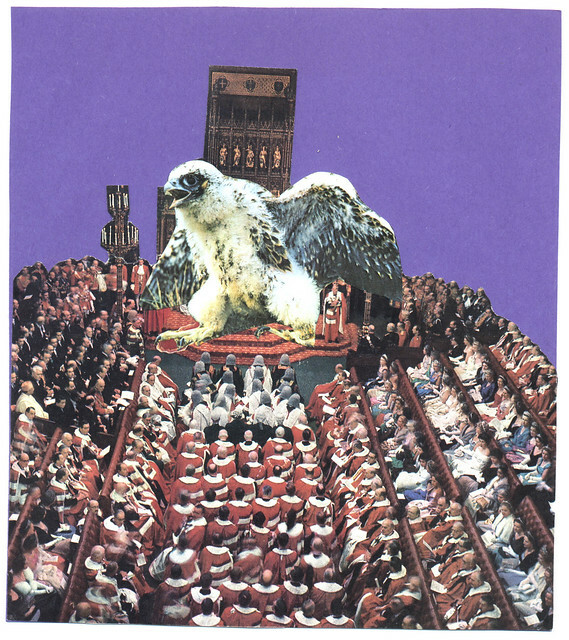 The Nature Prints: A collage story for all ages and eras is an open publication. This book features 21 poems, short stories, drawings, conceptual pieces by 'a number' of angsty 20 year olds. May offend (probably will). Features racist, sexist, and other -ist content. All tongue in cheek but nevertheless harsh. Please don't view this if you are going to have a problem with it. Currently in discussions to launch the Japanese versions of two services that facilitate neighbourhood and city interaction for more human communities. A small report on aspects of loved neighbourhood parks with the help of a group of neighbourhood kids. “Become familiar & comfortable with your environment, share and discuss, develop the facility to play with, rearrange, reimagine, create spaces and places. 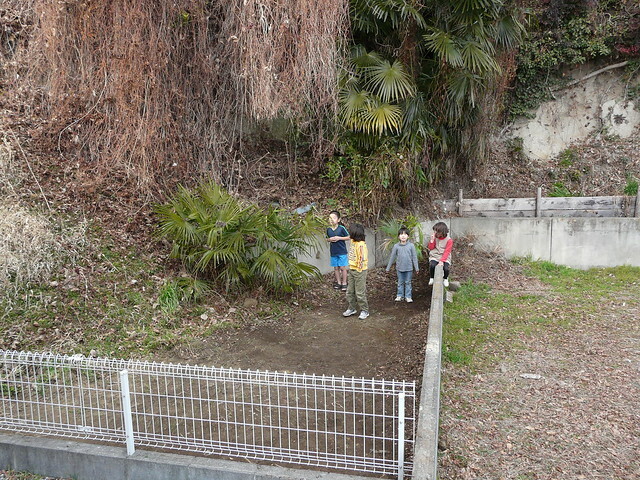 Explore the neighbourhoods of Japan through the eyes of other children, discover what they care for and have fun with." Based on the images and research of the FIXES: Non-Intentional Design (NID) Research in Tokyo project, this card game/resource aims to increase awareness of NID thinking and practice and to act as an entry point to a deeper experience of Tokyo as a lived city. Three out of seven nights, From 11pm-2am.